Divorcing couples will be asked to fill a tick box form online detailing the money and assets they each want under sweeping plans to streamline the system. The newly-established ‘Financial Remedies Courts’ will then use the ten-page document to rule on the financial side of a divorce. The form allows spouses to tick boxes asking for maintenance payments, a lump sum and a share of a property. The plans have been drawn up by senior judges led by Britain’s top family court judge Sir James Munby, the president of the High Court’s Family Division. Sir James said that ‘Form A’ would be approved for use early next month, with the first Remedies Courts to begin running as part of a pilot scheme that may also start next month. Sir James added that ‘the complete delinking … of divorce and money, so that they are started and pursued by completely separate processes, will proceed with all possible speed’. Officials indicated that ‘plans are still at an early stage and no decisions have been taken’. Three brothers are battling over their late mother’s £1.8million will, a court has heard. Rachel Heath left her sons Jeremy, Timothy and Dominic equal shares of her fortune when she died in October 2015, aged 93. The High Court in London was told that all three brothers were named as executors of the will. Timothy told the court he looked after Mrs Heath with two other carers who each earned £45,000 a year. He said, “I didn’t ask to be paid for looking after a parent. But my brothers took none of the burden. “They pursued their careers and pensions and their incomes and they left me to do what they took advantage of. He added, “I don’t own a house and I don’t have a pension or a steady income. The judge will make a ruling at a later date. Couples seeking “quickie divorces” can hasten the process with a new online service launched by the Co-op. 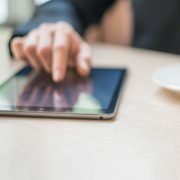 The fixed-fee digital service from Co-op Legal Services allows people to start uncontested divorces online from home, supported by phone-based advice from experienced solicitors. 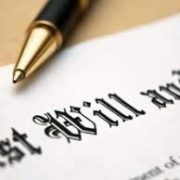 Co-op already offers online wills and powers of attorney. Co-op estimates the service could cut the amount of time it takes to complete an uncontested divorce by a third, from six to nine months, to four to six months. “Couples have often already considered divorcing for a number of months, but they then hold off announcing their plans until after the festive period, mainly to avoid upset among family members. “We do see a number of divorce inquiries coming in the early hours of the morning, as people want to feel like they are moving things on. The service has been designed to use comprehensive English and avoid legal terminology. The online tool guides customers through a set of questions, using language tailored to the individual’s circumstances. The Probate Service will now accept personal applications online, providing they meet certain criteria. The Probate Service has said the online application form will continue to be developed to cover a broader range of probate applications in the future. Personal applications can be made online if only one executor is applying, if there is an original will available even if the person who died made up to four changes to that will, and if the person who died classed England and Wales as their permanent home or intended to return to England and Wales to live permanently. The Probate Service has said the online application form is easier to understand, but it has said applicants will need to provide supporting documents, including the original will and two photocopies, the death certificate and the associated inheritance tax forms. The Probate Service added that online applications will be extended for solicitors and other professionals in spring 2018. Its new online application form includes a statement of truth for people to declare the information is correct, removing the need to swear an oath in person, and the function to pay the fee online, removing the need to post a cheque to the Probate Service. The digital currency, Bitcoin, will be considered like any other asset in divorce proceedings in England and Wales. According to familylaw.co.uk as Bitcoin, like stocks will fluctuate, the value of Bitcoin to be considered in the proceedings would have to be determined by a judge. This valuation is likely to be made for the point in time either at the date of the petition for divorce or any other date that the judge deems sensible looking at the circumstances of the case. Familylaw.co.uk further added that courts can factor in the value of the asset, whether by accounting for its value in other property, or ordering a cash payment which could be satisfied by liquidating Bitcoin. It has been highlighted that although Bitcoin is not linked directly to the identity of the user, courts will require full and frank disclosure of owning Bitcoin. According to a new report, the average cost of a marital breakdown is £14,500. Aviva’s Family Finances report found that the cost of divorce has increased 17% since 2014 when divorces in the UK cost, on average, £12,432. Aviva added that increases to legal bills were partly behind the rising divorce costs seen in recent years. Paul Brencher, Aviva UK said, “The breakdown of a marriage or long-term relationship is likely to be one of the most emotionally demanding life events for people who experience it. Such circumstances are made all the harder due to the lack of preparedness by many. “Without taking away from the primary emotional strain, there are other significant costs which have the potential to cause further disruption to family units. “Aside from the costs of a new home, separating couples across the UK spend £1.7bn getting back on their feet after the breakdown of a relationship on costs including legal fees, buying a car or paying for a newfound need for childcare. “As a consequence, it is little surprise that they are drawn towards their savings for support or borrowing from friends and family. 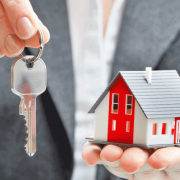 Many additionally find themselves priced out of the property market. “While it may seem completely unnecessary to plan for such an unfortunate life event, it is important that both partners in a relationship take an active interest in their financial affairs, even if one tends to take the lead. A woman has called for divorce laws to be modernised after her ex-husband was awarded a £2million settlement. Julie Arnold is challenging ‘out of date’ legislation that saw her adulterous husband given half of their £5.45million fortune, despite being married to him for less than four years. She is calling for divorce laws to be adapted to fit changing relationship trends with couples marrying later, having shorter marriages and having had no children. “Matrimonial law relies on a 1973 act and distributes wealth based on case law involving a couple who married in 1961 and stayed together for 30 years. “Our life is different now and there will be more and more couples who divorce after shorter marriages before they have children. “It was still a lottery win, just for being with someone. According to research by divorce support service Amicable, over 40,500 people will search “divorce” online in January. The figures further reveal that the cost of divorce to the taxpayer is rising and currently costs each adult £1,820. A distinct increase in online searches for divorce can also be seen in data provided by Google Trends, which shows January 2016 and January 2012 as the two most popular months for divorce searches in the last ten years. “In January, after the hype of Christmas, dissatisfaction peaks as a consequence of lots of time spent together, financial pressures, desire to make changes and unfulfilled expectations. She added that the current divorce system in England and Wales is bumping up the costs and making the process unnecessarily hostile. She said that a change in the law to enable couples to divorce without having to blame their partner is long overdue and would make the system more contemporary, bringing it in line with other western countries. The sale of a Grade I listed mansion formerly owned by Lord Kitchener has been advised on by the corporate team at Pannone Corporate. Broome Park Mansion House was on the market for £6m and has been sold by Diamond Resorts Group to an associate of Pyrrho Investments Ltd part of the Hong Kong based Bonds Group. The Pannone Corporate team advised Diamond Resorts Group. Broome Park Mansion House was built in 1638 during the reign of Charles I and has been split into 18 holiday apartments with 14 holiday lodges. The property was once owned by Earl Kitchener of Khartoum, the English military figure pictured in the iconic ‘Your country needs you’ poster. Jeremy Jones, director at Christie & Co brokered the sale. Paul Smith and Harriet Clarke of Osborne Clarke LLP acted for the purchaser. Louise Redknapp has divorced former footballer husband Jamie in a hearing which lasted 25 seconds by a judge who said she could not “reasonably be expected” to live with him. Judge Ian Mulkis granted a divorce decree at a hearing in the Central Family Court in London following a 19 year marriage. Neither Mr Redknapp nor Mrs Redknapp were in court. Four journalists were present at the hearing but no members of the public were permitted. The pair have two children together. As a highly regarded full-service law firm, our objective is to deliver clear legal solutions which precisely match the needs of you and your business. Our ability to unravel complex problems with strong emphasis on communication is fundamental to our service. AMT Lawyers is a trading name of AMT Lawyers Limited. AMT Lawyers Limited is registered in England and Wales under company number 07294169 (VAT number 102487830). It is authorised and regulated by the Solicitors Regulation Authority under SRA No. 543421. A list of members is available for inspection at the registered office: 26 Wellington Street St John’s, Blackburn, Lancashire, BB1 8AF.